At a relatively young age, I learned to grill french toast. It was an easy achievement, as it’s an easy recipe: beat eggs, dip bread, and fry till golden. I loved my efforts and repeated them endlessly. Not surprisingly, making grilled cheese was a quick second on young Mike’s minimalist cooking expedition, as the process is quite similar. Fast forward more decades than I want to acknowledge, I’m more apt to make grilled cheese than french toast and my grilled cheese of today is nothing like my grilled cheese of yesteryear. For one, it’s not packed with American cheese and second, and most important, it’s on the grill. What I love about a grilled cheese sandwich is how much more it can be. My grilled cheese is rarely just cheese. It’s grilled cheese and more. Gruyere and prosciutto? Yes. Mozzarella and cheddar? Oh, yes. Brie and cranberries? Why did I only grill one? My elongated point is that grilled cheese is more than grilled cheese. It can be anything and everything. With that said, here are a few tips to keep in mind. Use grated cheese and grate it yourself! The work, which is really minor, is worth the effort. I do get it, picking up a bag of shredded cheese is easy. However, quality and cost savings are on your side when you run a block of cheese down a box grater. Most importantly, grated cheese has more surface areas and melts faster. Cheddar makes a great grilled cheese sandwich. However, try cheddar and mozzarella together, and you will change your mind. Experiment with taste and consistency to find your dream blend. Just steer clear of non-melting hard cheese. My best-grilled cheese sandwiches have wall to wall butter. Growing up, my idea of prepping grilled cheese was dragging a chunk of cold butter across fragile white bread. Instead of following my meager culinary abilities, use room temperature butter to cover the entire surface of the bread. Your perfectly grilled golden perfection will thank you. As easy it is to make grilled cheese in the oven or the stove top, its true place belongs on a griddle on the grill. Just firing up the grill sets the stage for an extra layer of flavor a kitchen appliance can’t produce. 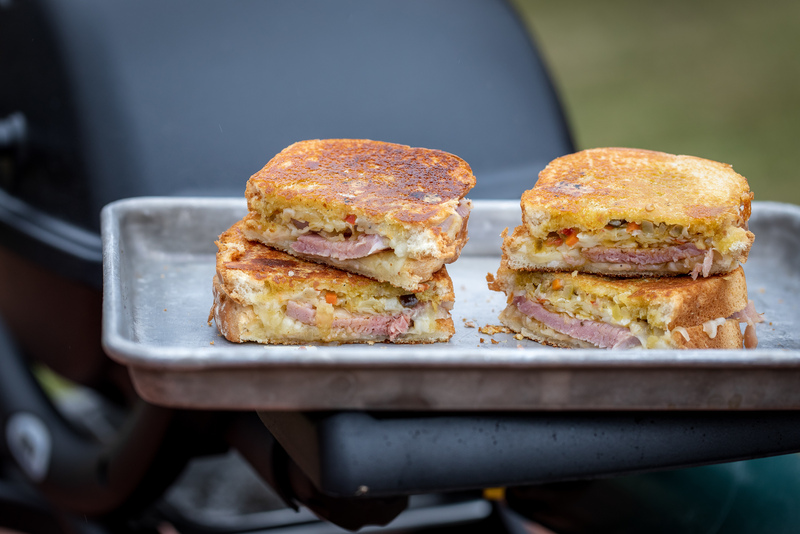 The grill is the ultimate grilled cheese destination. Grilled cheese can be anything and everything. It’s why after all of these years, I keep coming back to it.